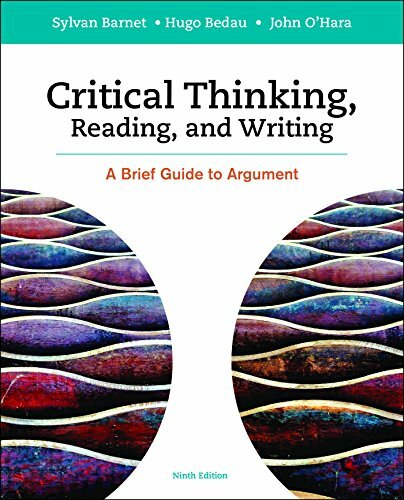 Critical Thinking, Reading, and Writing is a compact but complete guide to critical thinking and argumentation. Comprising the text portion of the widely adopted Current Issues and Enduring Questions, it draws on the authors’ dual expertise in effective persuasive writing and comprehensive rhetorical strategies to help students move from critical thinking to argumentative and researched writing. This extraordinarily versatile text includes comprehensive coverage of classic and contemporary approaches to argument, from Aristotelian to Toulmin, to a new chapter on rhetorical analysis of pop culture texts, as well as 35 readings (including e-Pages that allow students to take advantage of working with multimodal arguments on the Web), and a casebook on the state and the individual. This affordable guide can stand alone or supplement a larger anthology of readings.